Provides 72 hours of hydration with just one application. 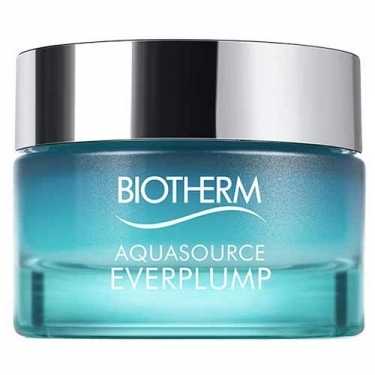 DESCRIPTION: Aquasource Everplump from Biotherm is a daily moisturizer that fills the skin. The new highly dense texture of this product causes even fine lines to be removed. 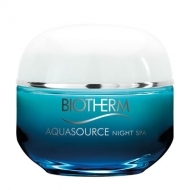 Full of moisture, replenished and strengthened, the skin gains incredible softness. 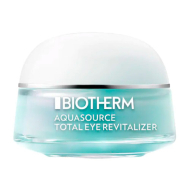 Blue Hyaluron, a natural hyaluronic acid born from aquatic biology, glycerin and moisturizing actives, penetrates quickly. In seconds the skin stays smooth and fully hydrated from morning to night. Suitable for sensitive skin, it can be used in the contours of the eyes. Use every morning and/or evening on clean and toned skin.